Switch on those Christmas tree lights and settle down with a hot chocolate. 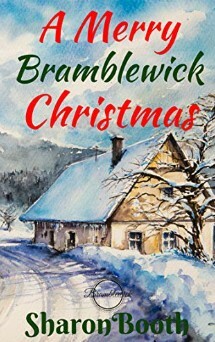 It’s time for another festive trip to beautiful Bramblewick. Christmas is approaching once again, but the residents of the little village on the North York Moors are almost too busy to notice. Receptionist Anna is on maternity leave, awaiting the arrival of her baby, while husband Connor and colleague Riley are busy interviewing candidates for the post of third GP at Bramblewick Surgery. Izzy, meanwhile, is recovering from a broken relationship by focusing her attention on the primary school Christmas play. But even with the help of fellow teacher, Ash Uttridge, she’s beginning to wonder if she’s taken on more than she can cope with. The weather’s not the only thing getting chilly, either. Having confided in Anna the real reason for her break-up with her ex-boyfriend, Izzy is hurt when her best friend seems suddenly cold towards her. Has she made a mistake trusting Anna, after all? As Christmas draws nearer and the snow begins to fall, Izzy and Ash develop a warm and growing attraction. But Ash has real concerns about their relationship and, with Anna judging her so harshly, dare Izzy really tell Ash the truth about herself and risk everything they have built so far?